Explore the sites of Hong Kong on this half-day guided excursion. After a convenient hotel or cruise ship pickup, learn about this vibrant city from an informative local guide. 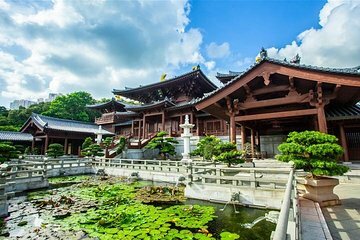 Check out important sites like the Tang Dynasty-era Chi Lin Nunnery and beautiful Nan Lian Garden, and stop by bustling markets for a complimentary taste of authentic local cuisine.